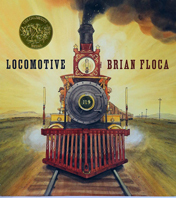 Join us tonight, Monday February 24 at 7 p.m., for our final Caldecott Club session of the season as we read the 2014 Caldecott Medal winner, Locomotive by Brian Floca, and the three 2014 Caldecott Honor books. Cookies and lemonade will be served, and no registration is required for this fun program that is perfect for kids and families. We will be making stuffed animals/dolls/creatures from felt and buttons. This program is for children ages 8 and up. If you want to make a stuffed creature you must be able to sew! Otherwise, we have Rainbow Loom supplies for those who would like to make Rainbow Loom Jewelry. Yoga Storytime for 3-5 year-olds is coming up in two weeks, on Sunday March 2nd, and we still have spots available! The program is from 2:00-2:30 pm. Enjoy stories, songs, and gentle and fun yoga poses for preschool age children and their parents. We have one mat per parent/child pair. Bedtime Stories is tonight (February 11th) at 7:00 at the Takoma Park MD Library. This program is for young children and their families. Come for 30 minutes of stories and songs. Wear PJs and bring stuffed animal friends if you like! The Caldecott Club session has been postponed from Monday the 10th to Monday the 24th of February. You are going to have to wait for the train. Valentine's Day Crafts on Sunday! This Sunday on the 9th at 2:00 we will be making a variety of Valentine's Day crafts, including cards, candy wrappers, and felt hearts. You may register will us if you like, but registration is not necessary. This program is for all ages. Your Valentines can be as simple or complicated as you desire. We will supply the materials, ideas, and support! Please bring your creativity! Just to clarify. Bedtime Stories is postponed. It will be held next Tuesday, the 11th at 7:00. Tonight's Bedtime Stories program is cancelled because of the weather forecast for the evening. Sorry for the inconvenience! We're rescheduling for next Tuesday, Feb. 11 at 7. See you then!